This Section is opened to all the subjects (even if they aren’t about World War II) and all other things like sales or auctions. Whenever I'm surfing the net for details / photos of Short Stirlings, I see many images from a selection of artist but have declined to post them. However, Having seen this drawing, I thought it was worthy of posting. My only criticism, if any, is the the nightfighter is too large and too close to the Stirling. Still, a marvellous effort. Gotta agree with the wrong dimensions, but also adding that the Stirling fuselage is a little on the long side as well. Other than that, it's a nice drawing. There is no paralell in warfare, to such courage and determination in the face of danger, over so long a period. Such devotion, should never be forgotten. I've been researching my uncle's war time experiences, and today purchased the squadron records for 214 Squadron while he was there. I read for their bombing operation on Mannheim on September 5th 1943: "The aircraft was attacked by an ME110 on bombing run. Stirling not damaged but ME's port engine was left on fire." 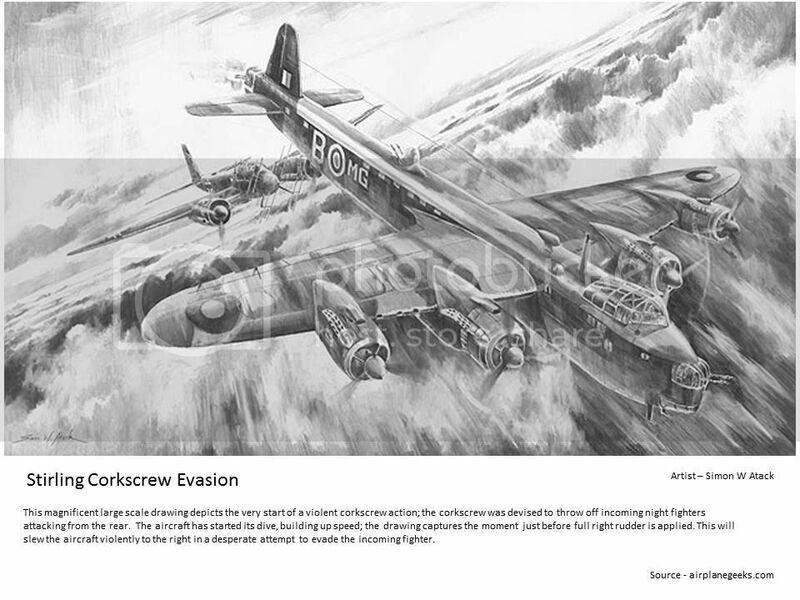 I'm very pleased to find a picture of a 110 attacking a Stirling! A lucky crew, as they also had a combat a few nights earlier on the operation to Berlin, when they encountered a JU88.